So, I’ve never done a blog before (is that obvious?) but I kept being pushed to try it as a tool to use. I really don’t know what to say or who will even read this, if anyone actually cares to or not, but I will try at least. I’m Brian. I was in the Air Force until I got wounded and forced to medically retire from it. The Service was everything to me. I grew up in it and lived in it my entire life. My whole identity was wrapped up in serving and doing my job. Now, that’s all gone and I feel like I’m completely cut off from everything and everyone I’ve ever known. 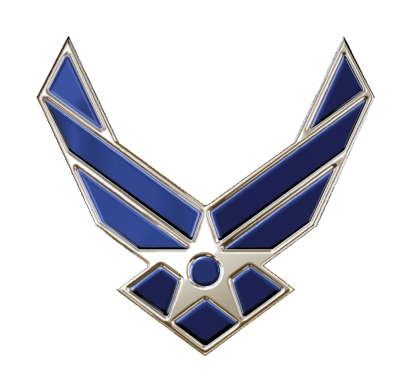 Almost everyone I knew while in the Air Force has moved on and I feel trapped here, in a relationship that’s dead with no outlets or anyone else to connect with. My “spouse” (only on paper) is disconnected completely and pretty much useless in everything that I “relationship” would have in it. All I hear is a statement made once, “I didn’t sign on in this marriage for you to be wounded.” Well, sorry! Not exactly like that was my plan! But even being partially handicapped, I still do a ton more in and out of the home than my so-called spouse does. I still reach out, try to talk, try to do things together, anything at all – but I’m just the source of money and benefits. I really don’t know what’s next for me, if anything at all. I have FOUR sleep medications due to my PTSD: Valium (taken during the day), then at night I take: Ambien, Remeron, and Prazosin (for nightmares, which DOES work!) But after being on these for so many years now, they barely work anymore except the Ambien which only causes the amnesia moments on that crap. I’ve been up for the last 21 hours and I don’t even feel tired yet, except for the slower response times here at home. I just, don’t want to go to sleep! Not only am I so uncomfortable sleeping in my own bed anymore, I hate the dreams & nightmares that come. The last several weeks, my dreams about two incidents from Iraq have returned with a force. While I generally dream about them so much already, I’ve mostly gotten them tamed down a bit so I don’t wake in a drenched state. Lately… not so much tamed-down nights going on. My brain just rehashes choices made and keeps giving me all these “what if” scenarios! I already play the “what if? !” game enough as it is. I don’t need it playing all night, too!! !